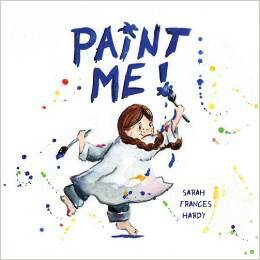 PICTURE BOOK DUMMIES FOR (NOT) DUMMIES with Sarah Frances Hardy — Plus a Giveaway! Greetings to all of you fellow Sub It Clubbers! And thank you Heather for having me here today. My name is Sarah Frances Hardy and I’m an author/illustrator of picture books. 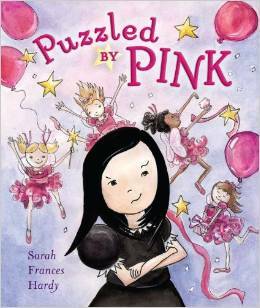 My published books are PUZZLED BY PINK (Viking 2012); PAINT ME! (Sky Pony Press 2014); and the upcoming May of 2015 release DRESS ME! (Sky Pony Press). When I started writing and illustrating children’s books with the hope of publication several years ago, I read in how-to-get-published books and submission guidelines that I should submit a picture book dummy. So what is this elusive thing called the picture book dummy? 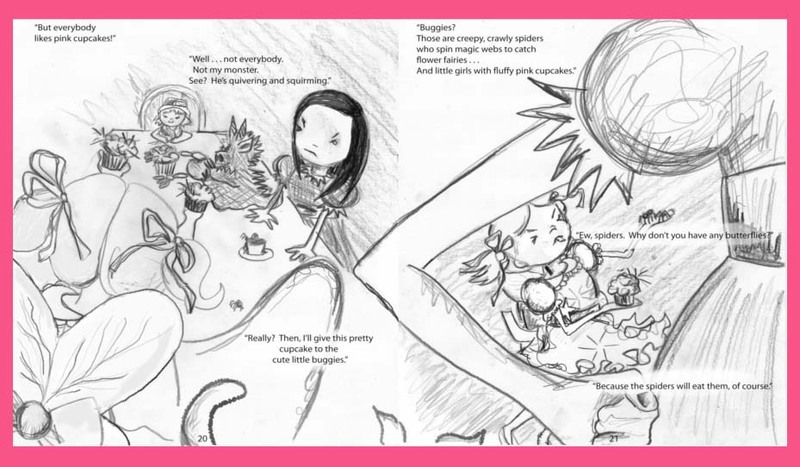 It’s your picture book sketched out with the text and drawings so that editors or agents can see how you envision the book. A picture book dummy does not need to be finished; in fact, it’s better if it isn’t. If you send in a dummy with completely painted, slick illustrations, editors might think that you’re not willing to revise (and like it or not, you’re going to be revising!). First I take my manuscript and I do something called “bracketing”. Since picture books are most often 32 pages, I know that my words and illustrations need to fit within 32 pages. I begin with the last sentence or phrase because I know it will be on the last page, and I write “p. 32” out beside it. Then I go to the first sentence or phrase, and I write “p. 3” beside it (this is because picture books normal start on page 3 since there will be front matter like title and copyright pages). Then I number the pages, working my way in so I meet in the middle. It normally takes me several tries to get this to work out. Additionally, I make sure to read my sentences carefully as I do this so that I know there’s something to illustrate on each page. 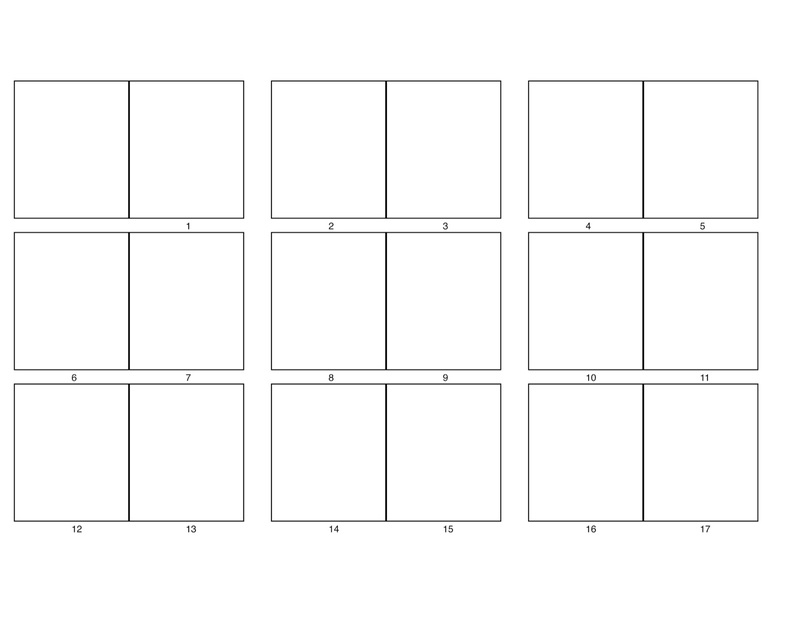 Also, I’m aware of where I have two page spreads–I wouldn’t want to split them in half (page 4-5 would be a full two page spread; page 5-6 would not). Next, I make thumbnails using a diagram like this. what my book will look like. I love doing this because I can see my entire book spread out in front of me all at once. Here’s where I make sure I have a good variety of perspectives, close-ups and pull-backs, and double and single page spreads. I also make sure that the work flows in such a way that the reader will want to turn the page. Additionally, I look for places that I can cut text. If I can draw something … I cut it out of the text. For example, you probably don’t have to say that your main character is mad. You can simply show her with an angry look on her face. And you don’t have to describe action. In PUZZLED BY PINK, I used to have a spread that said “Rose leapt into the room”. Well, I drew it so I got rid of those unnecessary words. 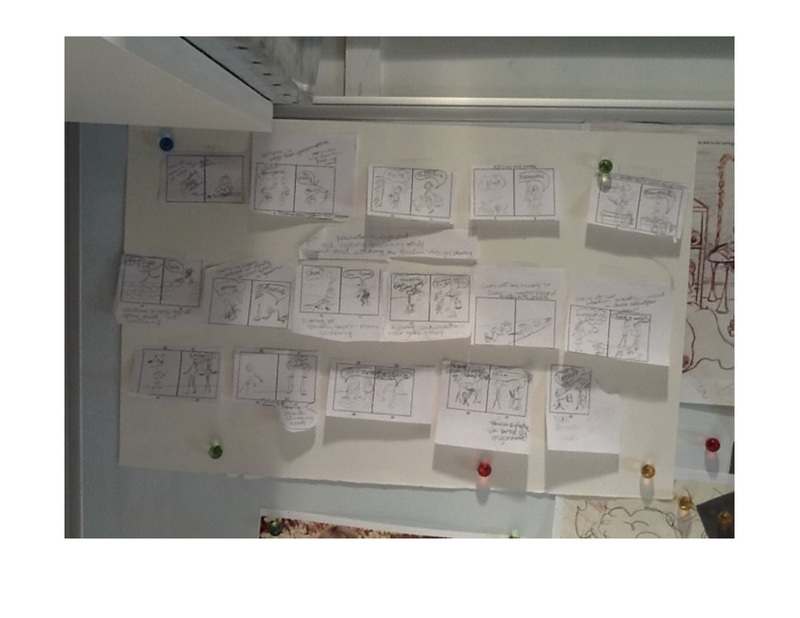 Sometimes, I cut up my sheets of thumbnails and move things around just to play with how the story is structured. After I feel pretty good about my overall plan for the book, I move on to doing more finished sketches that I will use in the book dummy. Normally, I draw in pencil and scan the images into my computer. Then I manipulate them using photoshop. This makes it easy to try new things. Like …. I also make sure that the pages aren’t too busy so that you can’t tell what’s going on. This double spread was a little too busy and needed to be simplified. After I have sketched the entire 32 page book, put the pages onto double page spreads. I save each spread as a PDF, and added text, I then create a multi-page PDF so that I will have one document that I can send out. Next I print out my book dummy on paper and read it and pass it around. It’s insane how things suddenly *change* when they’re printed out and in your hands. I do some heavy revisions at this point and get good critiques from writer friends. When I feel like my dummy is in good shape, then I choose two or three spreads to illustrate as final painted illustrations, and I send those along with my submission so that the editor or agent has an idea of my final illustration style. Pick carefully! This is where you really showcase your style. Check each agent or editor’s specific submission guidelines. Some will want to first see a query before asking you to submit a full dummy. Best of luck with your own projects and happy drawing!! So much great information. Thank you Sarah! Follow Sarah on Twitter @sfhardy2 and like Sarah’s page on Facebook. Like I said at the beginning of this post, Sarah is offering a critique giveaway! 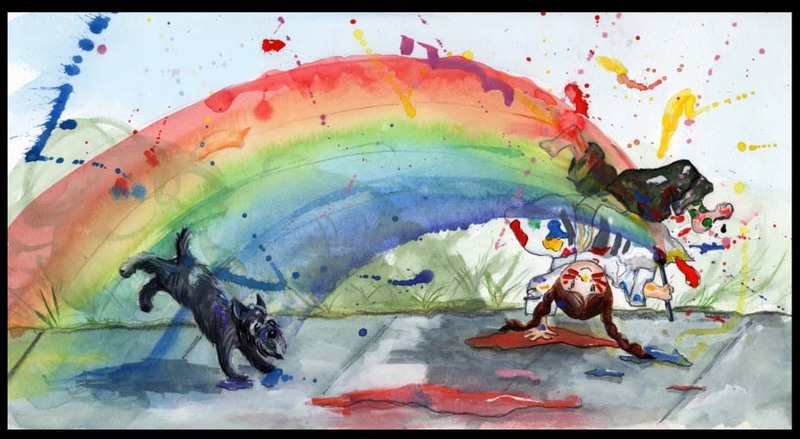 This is a prize for illustrators– Sarah will critique 3 page spreads of a picture book dummy for one lucky winner. To enter, just tell us that you want to be entered in the comments on this post. THE GIVEAWAY IS CLOSED BUT THE INFO IS STILL GREAT. THANKS FOR READING! Share. If you share this post via social media just let us know and we’ll add extra entries. Grab our badge. Put it on your site and link it back here tohttp://www.SubItClub.wordpress.com and let us know. I’ll do a random number generation and pick a winner on Tuesday, February 24th. Entries are open until then. Good luck! Win an Autographed Picture Book from Corey Rosen Schwartz! WHOA NELLIE! This is bookmark worthy. LOVE. We were having this discussion in a FB group just yesterday. Great info for the non illustrators too. Thank you so much Heather and Sarah. Thank you for sharing! I enjoyed both your illustration and fine art. Great information! This was perfect timing for me! Thank you! I really like the bracketing idea – showing the relative amounts of text per page – and it is something that can be easily adjusted. I like to cut my text apart with scissors, but that can lead to a lot of orphan lines being tacked from one page to the next! Thanks Sarah! Thank you, Sarah, for these great tips on creating a book dummy to see how your story unfolds. I would like to have a critique. I belong to the Sub It Club and I have linked my website back to the Sub It Club. Thanks so much for sharing, Sarah! I’d love to have a critique. Hello! Brilliant article! You mention the two page spreads being on pg 4-5. Is the next one on 8-9? Could you give us a run down of where they come through a book? OH!!! Let me clarify! The two page spreads can be anywhere in your book, depending on how you want to pace things (often a two-pager is a page where you want your reader to linger a bit–or it’s a WOW part of the story). 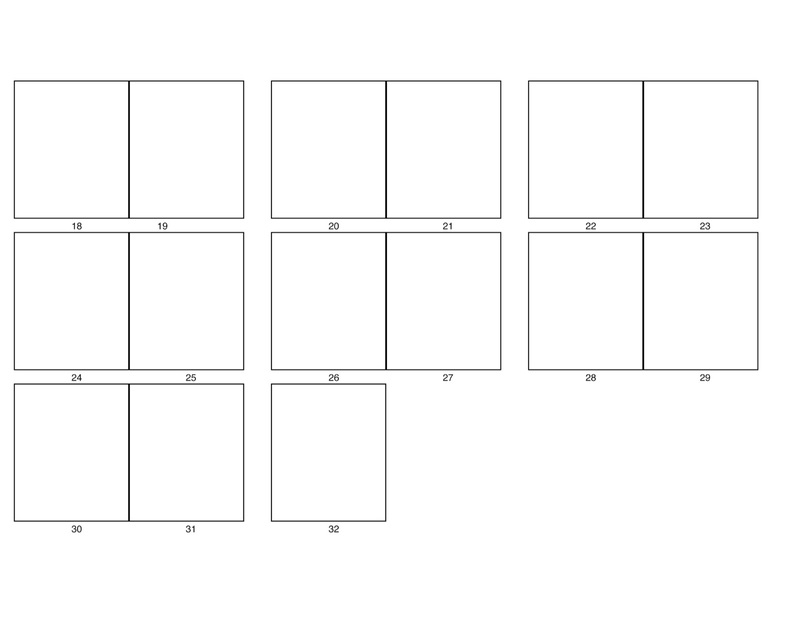 I only mentioned page numbers in the context of not splitting up a spread … you wouldn’t want to accidentally bracket pages 6-7 and then realize that those pages are back to back (not two pages that you see at once). Does that make sense? I don’t think there are any hard and fast rules about where two-pagers should appear in a story. Great post, Sarah. Thanks for sharing your process. Thanks for the detailed info. The photos and sketches really helped! Thanks! A very practical post. Love seeing the process, please enter me in the contest. Not being an illustrator, I enjoyed seeing the process from start to finish. Wonderful post! Thank you, Sarah, for sharing your work. Please add my name to the contest list. Great information, just when it is needed. Please enter me in the contest. Thanks. This was great info even for writers who don’t illustrate. Thank you! I’d love to be entered for the chance for feedback from Sarah. Great post – thank you for sharing your process! AWESOME information. Thanks so much for sharing! Very helpful & inspirational! Oh, I forgot to say, I’d like to be entered in the dummy critique giveaway. THANKS. I shared the link to this page on my FB page and on Twitter. Such an awesome post, thank you! 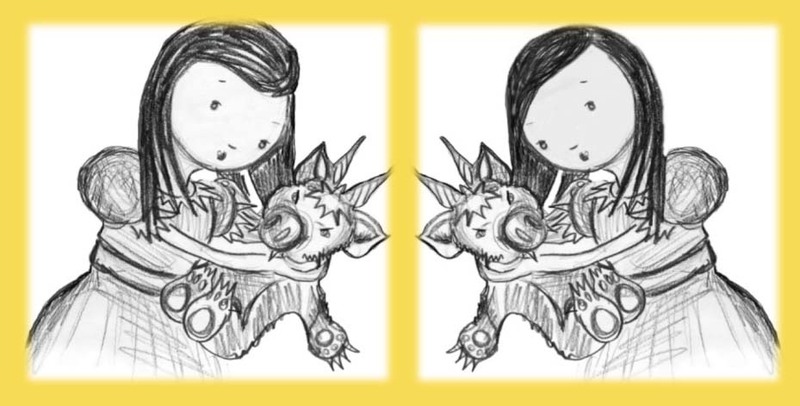 As an author/illustrator, I would love to be entered to win a critique. I’m also a member of sub it club on fb. Great info! I would love to be entered for a critique. Sarah, I have a follow up question: if the agent or editor will accept dummies along with an initial query, and when you’re using pdf and jpeg formats for your dummy, do you send those as attachments (some agents/editors don’t want attachments), inline photos, or hyperlinks? Thanks!! I’m not an illustrator, but I do need to push myself in the dummy arena. I’ve tried cutting up the text and placing on pages…but honestly Times New Roman is really not that inspiring! Time to let myself doodle and take pride in stick figures. I would love to be entered for the giveaway! I am a member of both Facebook groups and follow on twitter. The first time I tried making a dummy, I had a hard time putting it into PDF format. Is there an easy way? I don’t have photoshop or any other software. Thank you.